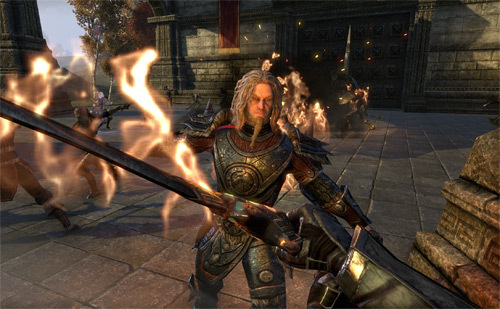 Elder Scrolls MMO out now for PC and Mac. Bethesda Softworks and ZeniMax Online Studios’ fantasy MMORPG The Elder Scrolls Online has officially launched and is now available at retailers worldwide and on the game’s online store. To celebrate the launch, Bethesda and ZeniMax have released a 5-minute cinematic launch trailer called “The Siege”, which you can watch below. The Elder Scrolls Online is available for PC and Mac. The game is also coming to PS4 and Xbox One in June. To learn more, head over to the official website. Tagged Elder, Launches, Online’, Scrolls.